Douglas Elbert Realtor Association. At DERA we help build relationships that provide solutions. We promote opportunities to create meaningful connections through personal introductions, networking and social events. Rod Martin's Complete Basement Systems is certified by the Department of Regulatory Agencies to provide Continuing Education courses. Crawl Space Science, Dry Basement Science, Foundation Repair Science are all offered as 2 credit hour courses. 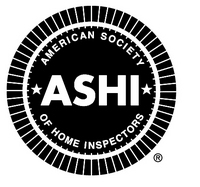 The International Association of Certified Home Inspectors—InterNACHI is the world's largest nonprofit association of residential and commercial property inspectors, providing education, training, certification, benefits and support for its members. InterNACHI-Certified Professional Inspectors® follow a comprehensive Standards of Practice, abide by a strict Code of Ethics, and take accredited Continuing Education courses each year, including InterNACHI’s Online Inspector Examination. Rod Martin's Complete Basement Systems is a National Radon Defense dealer, which means that we are a member of an exclusive network of radon professionals with access to on-going training and high-quality products. The South Metro Denver REALTOR Association (SMDRA)is a non-profit trade association that provides Real Estate Professionals with the resources they need to help them grow and prosper in the real estate profession. 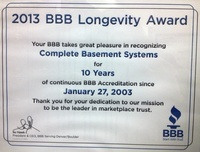 Complete Basement Systems earns the BBB Longevity Award in 2013 for 10 years of BBB Accreditation. Rod Martin's Complete Basement Systems was recognized as one of the best small businesses to work in in the entire Denver Metro area in 2018. 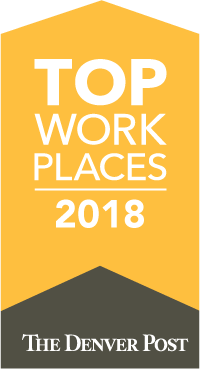 Through diversity and inclusion, Rod Martin's is able to promote a healthy and productive workplace. A BBB Accredited Business since 01/27/2003 BBB has determined that Complete Basement Systems meets BBB accreditation standards, which include a commitment to make a good faith effort to resolve any consumer complaints. RMG Engineers Group (RMG) is a multi-disciplinary engineering firm specializing in Geotechnical Engineering, Structural Engineering, Construction Material Testing, Home Design and Building Code Development. With branch offices throughout Colorado we service your projects throughout the region with friendly local relationships.